NASUWT members at Newtown Primary School in West Bromwich today begin the first of five planned days of strike action over plans to convert the school into an academy. The union fears the plans could affect job security, teachers’ working conditions and educational entitlements for pupils. NASUWT general secretary Chris Keates said: “There is no educational or financial benefit to converting Newtown Primary School into an academy. Teachers’ pay and conditions of service are inextricably linked to high standards of education for children and young people and there is a real concern that academy conversion will result in a deterioration of conditions. 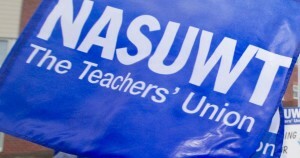 “The NASUWT and its members deeply regret any disruption which will be caused to pupils and parents. There is no evidence that structural change raises standards. It does however cause disruption, uncertainty and threatens teachers’ pay and conditions. NASUWT executive member Debbie Hayton said: “Teachers have been left with no choice but to take this strike action to show their deep concerns about the proposed changes.